Come breakfast, (still on food coma from last night’s feast) we were presented with Continental, American and Filipino plates to start out buffet adventure. They were all created beautifully, and each plate had their own delightful taste! Each food warmer and chiller carry Bistro’s name, that’s why you are assured of not only quality but good taste. 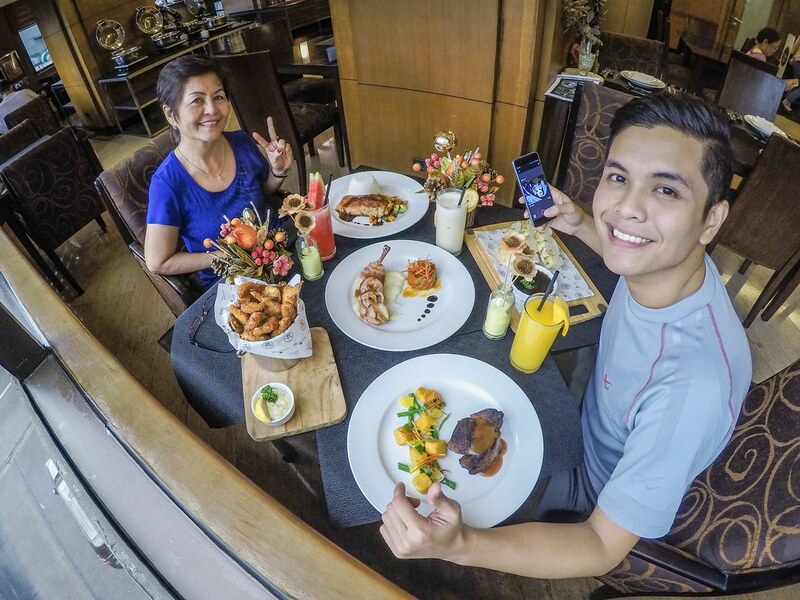 The overall ambiance and temperature were also perfect for having your most important meal of the day. After having breakfast, we went back to our room for a few more hours of relaxation before heading back to Bistro for lunch. Good thing my stomach was in good shape before and during our stay, and I didn’t have issues with digesting a few milk-based/infused products last night – whew. I pretty much slept all morning after breakfast but made sure to set an alarm for our lunch at City Garden Hotel Makati. 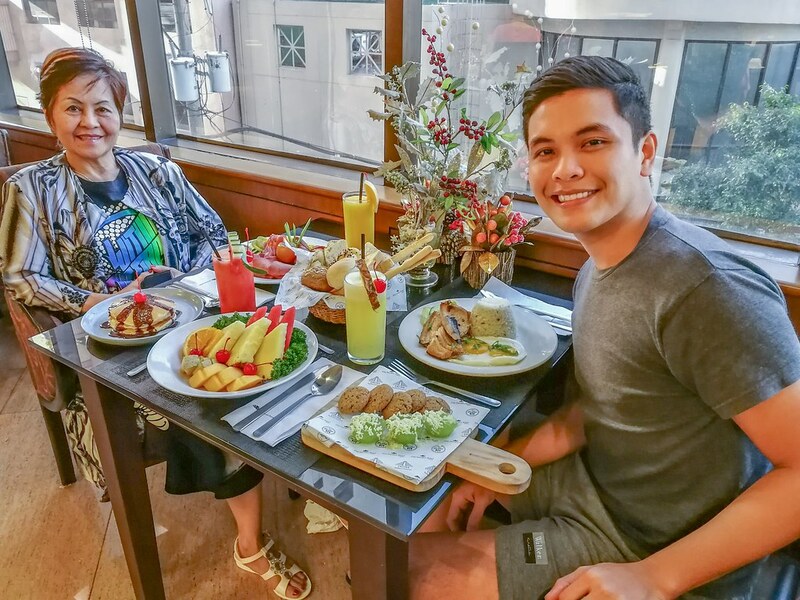 It’s as special as all meals we’ve had since day 1 because we got to try most of Bisto’s best sellers, arranged by none other than Ms. Rinna Reyes – City Garden Hotel Makati’s Food & Beverage Manager. I knew we were again in for another treat like what we’ve had for dinner last night! 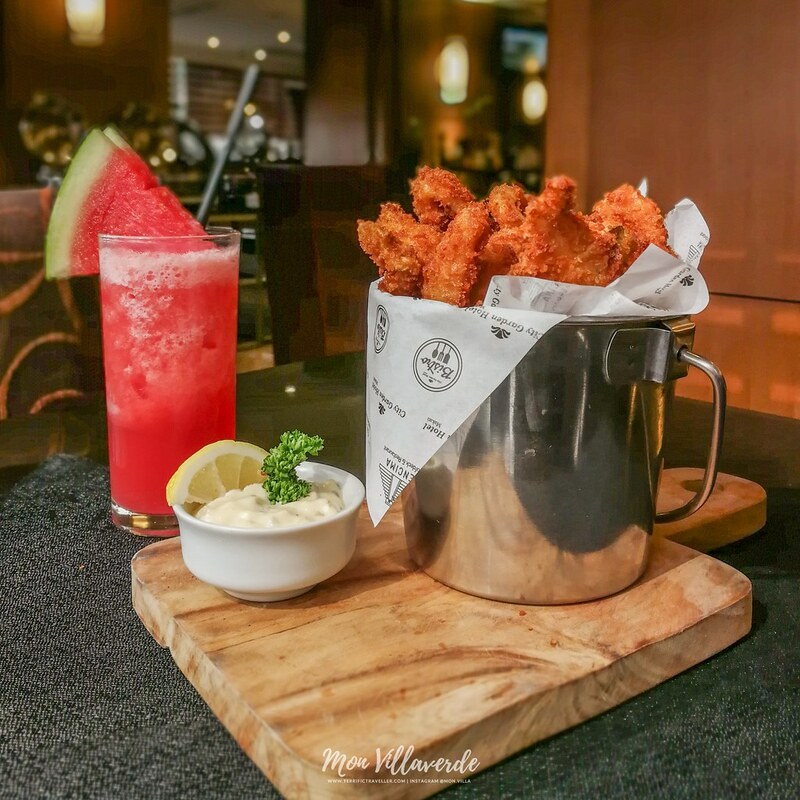 Deep fried seafood in a basket served with tartar dipping sauce. VERDICT: Fried fresh seafood! we loved this. Great appetizer to start yet another full blast dining from Bistro. There were squid, mussels, fish, shrimps, and at the bottom are fries! very filling, crunchy, and delicious! best paired with beer (or fruit juices) – haha. Grilled Beef Tenderloin – Meat cooked to perfection topped with grapes and asparagus in orange grape brown sauce. Served with pumpkin Gnocchi. Tournedos of Herbed & Cheese Stuffed Chicken – Chicken leg quarter stuffed with mozzarella, garlic & herbs. Wrapped in bacon and served with mashed potato and traditional ratatouille. Miso Glaze Salmon with Vegetables – Sweet and savory miso glazed salmon with buttered vegetables served with steamed rice. VERDICT: All of them came out victorious. The Beef Tenderloin was grilled to perfection, the Chicken tasted uniquely satisfying and plating was superb, while the Salmon came out as my favorite of the bunch. Fresh salmon guys! it was so tender, almost like melt in your mouth tenderness. Everything was excellent. Definitely worth your money! PRICE: ₱610.00 (~$12.00), ₱240.00 (~$5.00) & ₱660.00 (~$13.00) respectively. Please don’t hate me for making your stomach growl 😀 you know now where to go in case of gastronomic emergency! 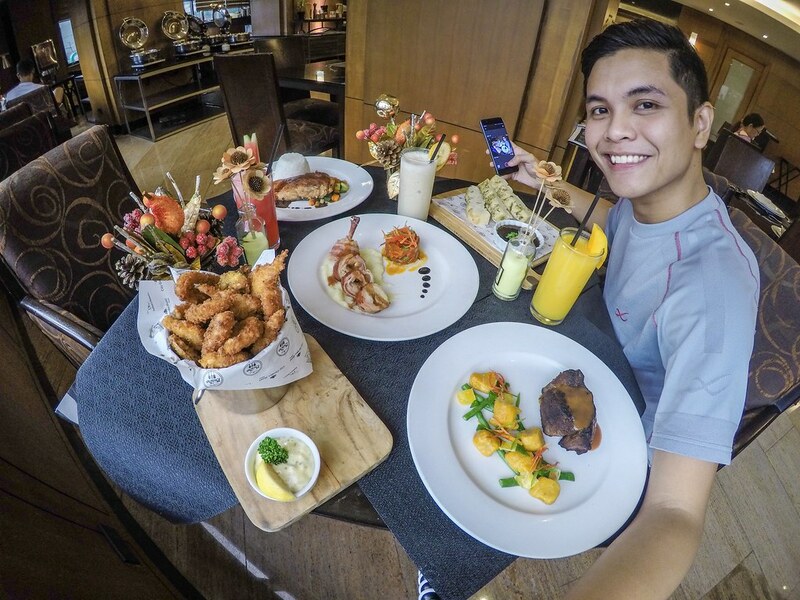 You have Encima Roofdeck Restaurant and Bistro roofed by City Garden Hotel Makati. Batanes with BISUMI is easy as 1-2-3!